Welcome to the DEC Freshwater Fisheries Insider. The Insider is a quarterly newsletter designed to provide New York anglers with up to date information on fishing in New York State and what the DEC Bureau of Fisheries is doing to improve New York’s fisheries. Please forward to anyone you think is interested in fishing in New York. On April 1, 2015, new ice fishing regulations went into effect. A total of seven ice fishing devices/lines (includes tip-ups) is allowed for ice fishing (statewide) with a total of 15 ice fishing devices/lines for Lake Champlain. 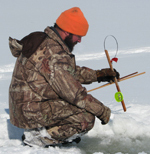 Names and addresses are no longer required on ice fishing devices. Ice fishing is a great way to spend long winter days. For certain species, ice fishing can often be better than in open water. Given that all you have to do is walk out on the ice, access is often easier than during open water periods. President’s Day weekend (February 13-14) will be a free ice fishing weekend to encourage more New Yorkers to try Ice fishing while many are on winter recess. Residents and visitors age 16 and older will be able to fish in New York State without a license. 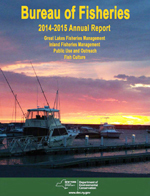 The Bureau of Fisheries annual report provides a summary of significant activities completed by fisheries staff over the past fiscal year. It’s a great way to learn about the work that DEC is doing to improve fishing in New York State. 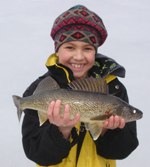 A survey of Delta Lake caught high numbers of young-of-the-year walleye. All of these walleye were naturally produced as the DEC stopped stocking the lake in 2012. Early indications are that the catch rate of adult walleye should improve in the next 2-3 years. Western New York anglers will be excited to know that a new universally accessible fishing platform has recently been installed in Wiscoy Creek in the Town of Pike (Wyoming County). Wiscoy Creek (509 KB PDF) provides excellent fishing for a variety of trout species. 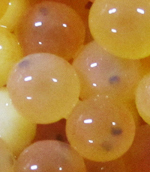 This past fall wild fish egg collections were completed throughout the state by hatchery and regional fisheries staff. All egg quotas were met. The collections included lake trout from Cayuga and Raquette lakes; Chinook and coho salmon from the Salmon River; Adirondack heritage strains of brook trout from assorted Adirondack ponds; and landlocked Atlantic salmon from Little Clear Pond. 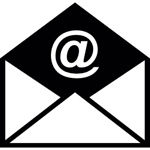 The Bureau of Fisheries uses e-mail to gather input from anglers concerning important fisheries issues. Unfortunately, e-mail addresses are not currently required to purchase a license from a license issuing agent and as a result we may not have an e-mail address that we can associate with your fishing license ID #. If you did not provide your e-mail address when you purchased your license and would like to provide it, please e-mail your fishing license customer ID # and your current e-mail address to fwfish@dec.ny.gov. Be sure to include FISHING LICENSE E-Mail in the subject line.